I was enjoying lunch with some author friends of mine the other day and a comment was made that has stuck with me ever since. The comment was – “Readers only want the same story line over and over, and all you have to do is change the names of the characters.” My first inclination that day was to say, “Oh no, that’s not true!” But I’ve been thinking a lot about that statement over the past few days and I have to say, I’m beginning to wonder if my friend was maybe right and I’m the one who’s wrong. I mean think about it … as soon as Harry Potter came out, what filled the bookstore shelves in the mega stores? Books about witches, right? I’m not saying that’s all that readers wanted to read, but it was what the majority of publishers were publishing. Then when Twilight came out, what did you see? Tons (and I do mean tons) of vampire love stories. In fact, I gave up going to the bookstores for a while because I, for one, didn’t want to read nothing but the same vampire story. But the publishing houses and bookstores seemed to be intent on shoving them down my throat whether I wanted them or not. So what is that saying? Did the readers at that time really want to read the same story over and over with different character names? Or did the publishing houses see how successful those books were and decided to cash in on some of that glory and so elected to mainly publish that kind of book. And if that’s all that’s out there, what choice did the reader really have? After all, that’s what Hollywood and TV does all the time. It’s definitely an interesting thought, don’t you think? Up until the new Indie Publishing movement the only choice we, as readers, had were what the publishing houses decided we should read. Even Harry Potter was turned down 12 times by 12 different publishers because they didn’t think it was good enough. Doesn’t that just make you a little bit mad? Here was an amazing book—one that has turned millions of young people on to reading—and it almost wasn’t published because the editors who read the first manuscript didn’t like that kind of book. I shudder at the thought, and thank God, the 13th publisher had a few brains! Don’t get me wrong—I’m not saying that the publishing houses are bad. They’re a business, and like every other business they need to make money to survive. I’m just saying that maybe, because of the way we’ve been trained our whole lives by bookstores and publishers, we have gotten used to reading the same stories over and over again. And maybe now that readers have a choice and more authors are getting their works out there, readers are going to become a little more brazen and step outside those boundaries that have been set by the publishing houses and explore new concepts and ideas! Doesn’t that sound wonderful? And that’s kind of what this blog is going to be about … finding new books that grab our hearts and take us to where no man has gone before, whether they’ve been brought to us through the traditional publishing methods or through Indie Publishing—we don’t care. So if you’re tired of reading only what someone else thinks you should read, come join us. We think this is going to be an amazing ride!! MJ Bell has a strength for character development that shows right from the start with the MC, Deston, a young teenager just placed into foster care. His complaining, fears and focus are very believable for a boy of his age. It is just like opening a door to a real teenager’s life. Margaux is Deston’s “companion” throughout the book and the two of them have a relationship that is full of awkwardness and the norm in this age group–speaking before you think. The mysteriousness of the plot trickles out of the background with each new chapter, making Before the Full Moon Rises a page turner. Each time Deston learned something new or stumbled into a new place, I was excited to learn what would happen to him and his friend next. The chapters are beautifully written, with some stunning imagery that will delight young readers as well as adults who like adventure with a definite sense of place. Bell provided for me an excellent balance of good and evil. Her characters explore for you, with excellent dialogue, why the faeries are “good” and what is at stake if they lose. 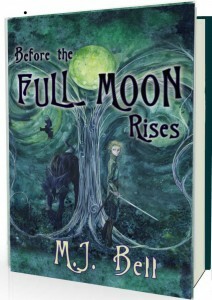 With great attention she also explores the motives behind the villain, telling a believable story that encases the realm of fantasy along with tapping into the human condition. For me this provided a real reference point to the motives and not a far fetched “dark” for evil’s sake. I believe this is one reason this is great for young readers. 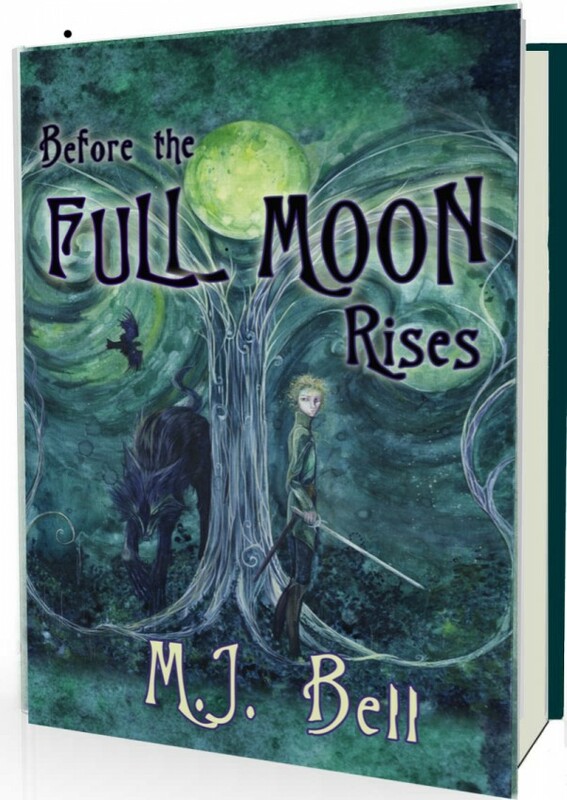 Bell’s characters are full of moral struggles and each struggle comes with resolution that is believable while still holding the fantasy element that we all enjoy so much. I highly recommend this book and can’t wait for book two to be available on Amazon. We are so excited to share with you our great book finds. So stay tuned and check back for our reviews of books we feel hold up, or at least come close, to the standards of Harry Potter!